Do you ever look at the ground before you and fantasize about who may have stood there long ago? Does your curiosity demand an explanation when you stumble upon an old building or a hidden work of art? 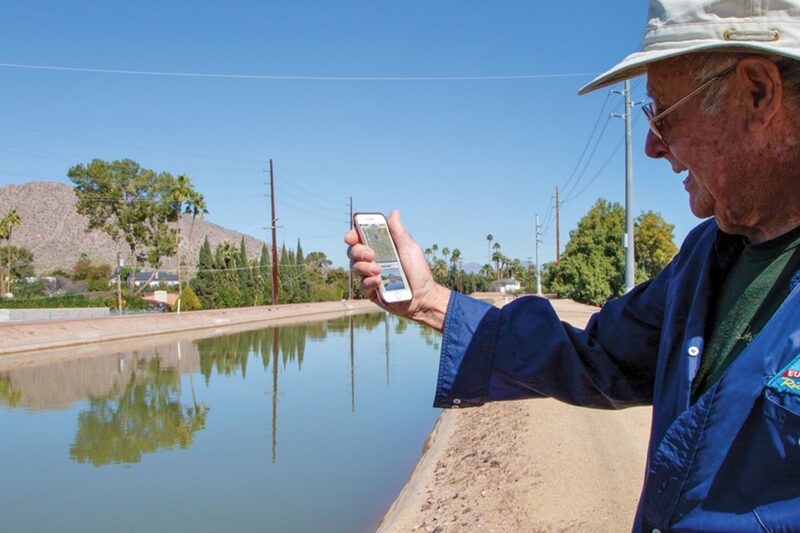 Salt River Project, metro Phoenix’s main utility company, is hoping to tug on that interest with the SRP Heritage Map, a new online resource and app that shows users hidden history around the Valley. The interactive map (srpnet.com/about/history/map.aspx) shows locations of 75 historical and modern sites organized by four sections: water systems, power systems, public art and historic sites. “This project would provide people the opportunity to learn more about where they work and play, and learn how it grew,” Harrison says, adding that it marks the first time some of these historical sites have been mapped. You can use the app to find secluded pieces of art throughout the Valley, too, like the copper falls at the intersection of Scottsdale and Camelback roads or Zanjero’s Line, a pathway along the highline canal from 40th to 14th streets in Phoenix. Or use the resource to explore obscure historical sites around your neighborhood, from Tovrea Castle to Hayden Flour Mills. “[The map is] also a really good example of the forward-thinking and innovative systems in place across the Valley,” Harrison says, highlighting that Valley innovators were creating technological plans as early as 1910. Harrison urges Phoenicians to look at these historical power systems from a new perspective, like the Horse Mesa Dam pumped-storage unit, which was built in 1969 and is still in use today. Or discover abandoned water systems like the Maricopa Canal, which was constructed in 1868 as an extension of the Salt River Valley Canal. Strolling through a residential neighborhood today, you wouldn’t know you’re walking over the 11-mile canal of yore. While the map is comprehensive, it’s far from complete, Harrison says, since Valley history is rich and difficult to siphon down to a few pinpoints on a map. Visual Puzzles, a group of small sculptures that create a waterfall along the Crosscut Canal Multi-use Path’s pedestrian bridge at Osborn Road. Rippling Waters Bridge, another piece of public art at the Crosscut Canal near Oak Street. Swimming Dream, a playful pedestrian tunnel along the Crosscut Canal Multi-use Path. The Ingleside Inn, an early Valley resort, constructed in 1909. The Old Crosscut Canal, constructed between 1888 and 1889, transported water from the Arizona Canal to the Grand Canal. The New Crosscut Canal, completed in 1913, is nearby. Arizona Falls, less than a mile away, was constructed in 1913 before being dismantled in 1950. Since then, it’s been redeveloped into a historic site and public destination.